Plot Synopsis: Dalton (PATRICK SWAYZE) is the best bar bouncer in the business, but he’s anything but “typical.” He’s a little small for his trade, has a degree in philosophy and he believes in “being nice.” But when he’s hired to clean up the Double Deuce in the small town of Jasper, he’s pushed to his breaking point. Now it’s “no more nice guy” for Dalton as he starts busting heads, leading him to the all-time, no-holds-barred showdown of the century as he goes up against the cruel Brad Wesley (BEN GAZZARA). 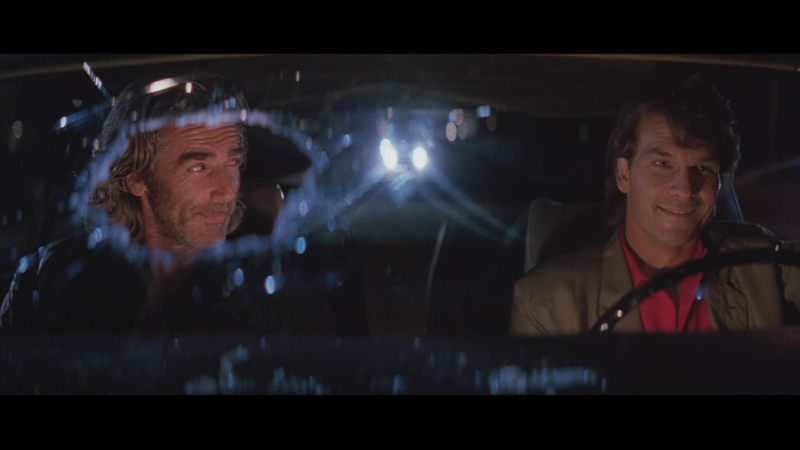 Quick Hit Review: Road House is quintessential 1980s action-thriller that excels almost solely on Patrick Swayze’s charisma, with special consideration for Sam Elliott’s all-too-limited role. The plot isn’t anything special and for me there aren’t any one-liners that were terribly memorable and yet the action/fight scenes are a whole lot of fun and fairly well choreographed. This is the type of movie that really works in a group setting though watching it solo, my first time watching, I dug it through and through. 1) Director Rowdy Herrington provides the more technical and behind-the-scenes commentary providing information on the movie. 2) Filmmakers Kevin Smith and Scott Mossier provide the fan perspective and is probably the better of the two, especially if you’re a fan of Smith. ‘I Thought You’d Be Bigger’: The Making of Road House (1L03:14; HD) is a new and extensive retrospective featurette and includes new interviews with Kelly Lynch, John Doe, Lisa Niemi Swayze, and many others involved with the production as they look back on the cultural phenomenon the film has become over the years. A Conversation with Director Rowdy Herrington (29:38; HD) is a new interview with the director as he recounts his time working on the movie as well as his early career and how he got involved on Road House. ‘Pain Don’t Hurt’: The Stunts of Road House (22:29; HD) – This is a new featurette on the stunt work on the movie and includes more interviews footage the cast and crew on the fight choreography. ‘Pretty Good for a Blind White Boy’: The Music of Road House (9:22; HD) focuses on the soundtrack on the movie. Remembering Patrick Swayze (15:06; HD) is a interview with Swayze’s widow discussing how the two met. 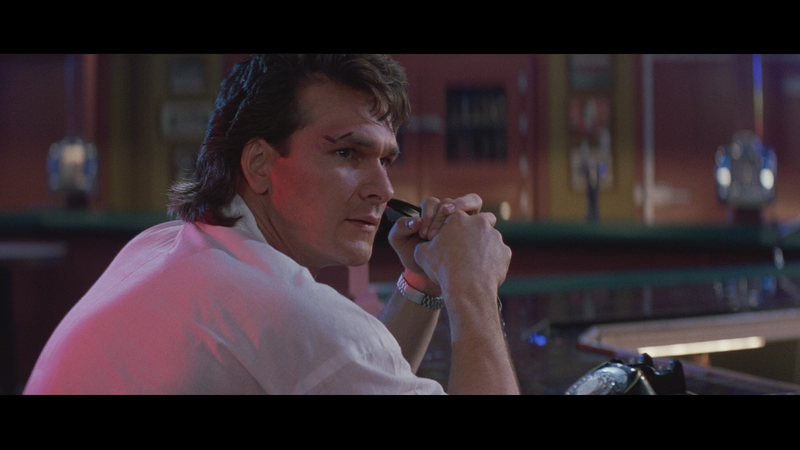 On the Road House (17:23; SD) is an older retrospective featurette that includes an interview with Patrick Swayze. What Would Dalton Do? (12:26; SD) is a featurette on real-life bouncers. On the Set (3:44; SD) is some raw behind-the-scenes footage. Patrick Swayze Profile (2:41; SD) is an overview, from the 1980s, on the actor and his role in Road House. Selected Soundbites (11:00; SD) is old interview footage with the cast. Last up is a Photo Gallery (3:20; HD). 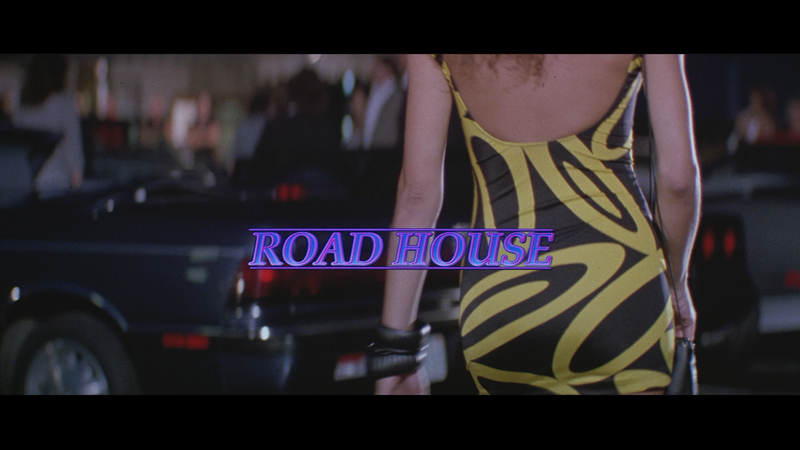 Shout Factory, through their new “Select” line, presents Road House with a 1080p high-definition transfer from a new 2K scan of the interpositive and it is a nice looking picture. Colors appear vibrant throughout and although there were some minor dust marks, it’s fairly clean and detail looks sharp. As with most of Shout’s releases, this gets both a 5.1 and 2.0 DTS-HD Master Audio tracks with the former set as the default. Going back and forth between the two, the 2.0 option is a bit louder while the 5.1 more controlled and, obviously, distributed. Either one is fine as they both offer clean dialogue levels and the music comes through quite well. Overall, Road House is another classic of the 1980s, a fun romp with a cheesy story and yet Patrick Swayze has more than enough charm to pull it off and make it all the more memorable. The Blu-ray released through Shout’s Select line offers good video and audio transfers and a nice selection of bonus material.